S.P. Capital Financing Limited is committed to conducting its business in accordance with applicable laws, rules and regulations and the highest standards of business ethics and ethical conduct. This Code of Conduct ("Code") reflects the business practice and principles of behaviour that support this commitment. The Board of Directors ("the Board") is responsible for setting the standards of conduct contained in the Code and for updating these standards as appropriate to reflect legal and regulatory developments. The Code is intended to provide guidance and help in recognizing and dealing with ethical issues and to help foster a culture of honesty and accountability. Every Director is expected to read and understand this Code and its application to the performance of his or her duties, functions and responsibilities. exhibit high standards of integrity, commitment and independence of thought and judgement. dedicate adequate time, energy and attention to ensure the diligent performance of his/her duties including make all reasonable efforts to attend Board or committee meetings. The Company has designated Mr Sandeep Gopale Director as its Compliance Officer to administer this Code. Directors, at their discretion, may make any report or complaint provided for in this Code to the Chairman of the Board of the Company or to the Compliance Officer. The Compliance Officer will refer complaints submitted to the Chairman of the Board. In the discharge of their duties and responsibilities, Directors must comply with all applicable laws, rules and regulations. These would include securities laws, insider trading laws and the Company's insider trading compliance policies. Directors must avoid conflicts of interest. Directors should also be mindful of, and seek to avoid, conduct which could reasonably be construed as creating an appearance of a conflict of interest. While Directors should be free to make personal investments and enjoy social relations and normal business courtesies, they must not have any interests that adversely influence the performance of the Company. A conflict of interest can arise when a Director or a member of his/her immediate family receives improper personal benefits as a result of his/her position as a Director of the Company. A conflict situation can also arise when a Director takes an action or has an interest that may make it difficult for him or her to perform his or her duties, functions and responsibilities objectively and effectively. 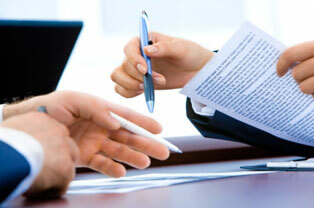 Directing business to a supplier owned or managed by, or which employs,a relative or friend. Receiving loans or guarantees of obligations as a result of one's position as a Director. Accepting, or having a member of a Director's family accept, a gift from persons or entities that deal with the Company, where the gift is being made in order to influence the Director's actions as a member of the Board, or where acceptance of a gift could otherwise reasonably create the appearance of a conflict of interest. Conflicts of interest may not always be clear-cut. Any question therefore about a Director's actual or potential conflict of interest with the Company should be brought promptly to the attention of the Chairman of the Board, who will review the question and determine a proper course of action, including whether consideration or action by the full Board is necessary. Directors involved in any conflict or potential conflict situations shall recuse themselves from any discussion or decision relating thereto. All Directors must maintain the confidentiality of confidential information entrusted to them or disclosed or acquired by them in carrying out their duties and responsibilities, except where such disclosure is authorised by the Company or is required by laws, regulations or legal proceedings. The term "confidential information" includes, but is not limited to, non-public information that might be of use to competitors of the Company or harmful to the Company or its customers, if disclosed. Whenever feasible, Directors should consult the Chairman of the Board or the Compliance Officer if they believe they have a legal obligation to disclose confidential information. Directors should endeavor to deal fairly with the Company's customers, suppliers, competitors, officers and employees. No Director shall take unfair advantage of the Company's customers, suppliers, competitors or employees through manipulation, concealment, abuse of privileged information, misrepresentation of material facts or any other unfair dealing practice. Gifts S.P. CAPITAL FINANCING LIMITED or entertainment in any form that is likely to result in a feeling of expectation of personal obligation should not be extended or accepted. Directors should perform their duties in a manner that protects the Company's assets and ensures their efficient use. The Company's assets should be used for legitimate business purposes. Directors are encouraged to promptly contact the Chairman of the Board or the Compliance Officer if the Director believes that he or she has observed illegal or unethical behaviour by any employee, officer or director, or by any one purporting to be acting on the Company's behalf or any violation or possible violation of this Code and the reporting Director has any doubt as to the best course of action in a particular situation. Confidentiality will be maintained, to the extent permitted by law. Women employees sexual harassment will not be tolerated and should be reported immediately to the senior management, so that action could be taken without loss of time as per law. As a public company, it is of critical importance that the Company's filings with the Securities and Exchange Board of India, the Reserve Bank of India and/or the concerned Stock Exchange(s) on which the securities of the Company are or may be listed be full, fair, accurate, timely and understandable. The Directors shall provide information necessary to ensure that the Company's published reports meet these requirements. The Company expects Directors to provide prompt and accurate answers to enquiries relating to its public disclosure requirements. This Code may be amended, modified or waived only by the Company's Board of Directors and must be publicly disclosed if required by any applicable law or regulation. As a general policy, the Board will not grant waivers to the Code.